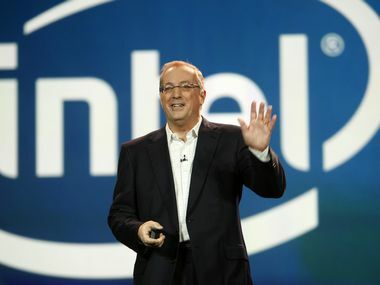 Intel on Tuesday announced that former chief executive Paul Otellini died in his sleep a day earlier, at the age of 66. He also signalled that the top chipmaker could open its factories to strategic customers. Intel raised eyebrows on Wall Street and in Silicon Valley this week when it said it will consider an outsider to take over from outgoing Chief Executive Paul Otellini. Otellini will retire in May at the age of 62, earlier than the company's mandatory retirement age for CEOs of 65. While touchscreen enabled super-thin "ultrabooks" are the focus of attention for tech industry players gathered in Taiwan this week, Intel Corp says by 2013 the buzz will have moved on to voice and gesture recognition features. Going with Nokia on the MeeGo platform was the wrong move, says Paul Otellini.